On the brink of being released from detention and reunited with children separated from them sometimes months ago, migrant parents are held at a South Texas facility in a sort of limbo — not free to leave, but without access to phones or commissary accounts that regular detainees get. * Editor's note: This story was updated July 23 to include a comment from U.S. Immigration and Customs Enforcement. They were awakened in the middle of the night. Get your things, they were told. You're being moved. Where? They didn’t know. Maybe, if the whispers were right, they were going to another U.S. Immigration and Customs Enforcement facility in San Antonio. Half an hour later, at about 4 a.m. Tuesday, a Honduran man The Texas Tribune is identifying as “Carlos” was loaded onto a bus with about two dozen other migrants, he said. Like him, they all had been separated from their children at the southern border under the Trump administration's now-paused "zero tolerance" policy. Like him, they figured the sudden relocation meant they were on their way to be reunited. But after an hour driving in pitch darkness, Carlos said the bus returned to the Joe Corley Detention Facility outside Houston without explanation. 6-year-old Heyli at her kindergarten graduation. She was sobbing uncontrollably in a recent video call with her mother. “I never imagined this," Heyli can be heard saying. “We asked them what happened and they simply told us that they had canceled the trip,” Carlos told the Tribune in a phone call from the GEO Group-operated facility on Tuesday. "What everybody was hoping was they supposedly were taking us to see our kids, that they were going to reunite us with our kids. That's what we all imagined. We were all happy." The surprise trip to nowhere was the newest unexplained bump on the road to reunification with Carlos' 6-year-old daughter, Heyli, who is being held at a Southwest Key shelter in Arizona. Another one came this weekend, when Carlos was spotted by a volunteer lawyer wearing civilian clothes inside the secretive Port Isabel Service Processing Center in deep South Texas — some 400 miles south of the Joe Corley detention center. Since Wednesday, Carlos has been held virtually incommunicado at the Port Isabel facility, designated by the government as the primary removal and reunification center for separated migrant families. 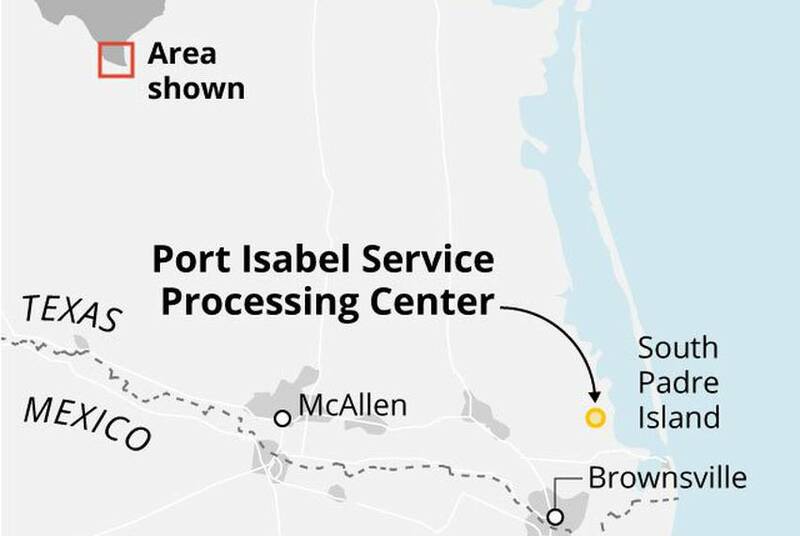 It’s a situation that’s befallen dozens of migrants bused to Port Isabel in the last five days, as Thursday’s court-imposed reunification deadline draws near, say advocates who visited the facility as recently as Saturday. On the brink of being released from detention and reunited with children separated from them sometimes months ago, migrant parents are being held at the South Texas facility in a sort of limbo — not free to leave, but with limited or no access to phones or commissary accounts that regular detainees get, those advocates say. Authorities are putting women in one area and men in another, and the clothes on their backs hint at their fate, according to lawyers and advocates who have visited: Those who are destined for release to a nearby Catholic shelter don plain clothes — often what they were wearing when they crossed the border — typically topped by a white shirt issued to them in detention. The government is under a court order to reunite most separated migrant families by July 26, a deadline that looms over the political and legal morass that’s ensued since the federal “zero tolerance” policy was announced in April. More than 450 of the roughly 2,500 children separated from their families under that policy have been returned to parents or guardians, and different branches of the federal bureaucracy are scrambling to reunite the remaining families in time. Chaotic and haphazard, it’s an endeavor that involves coordination between multiple agencies, including ICE and the federal Office of Refugee Resettlement (ORR), which oversees separated children housed in contracted shelters across the country. The migrant parents in limbo at Port Isabel are given a three-letter designation, used internally by some officers, that highlights the uncertainty of their plight: ATW, according to Goodwin, or all the way out. 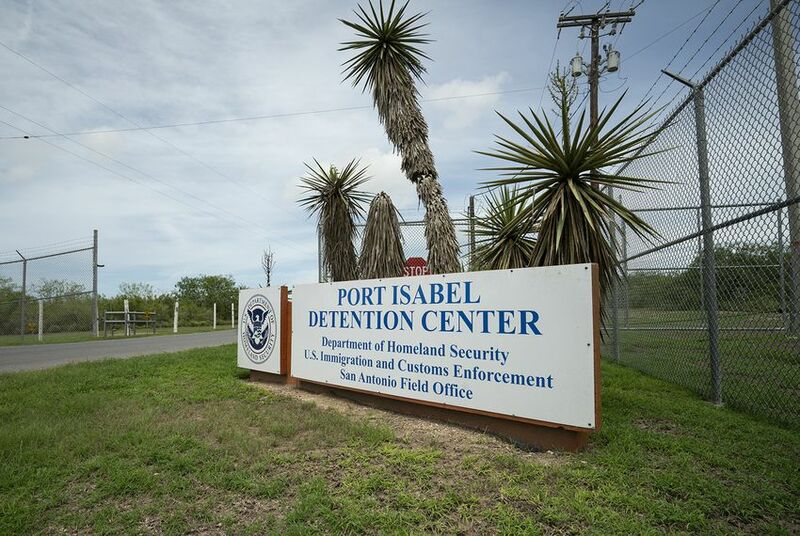 For the family members and lawyers of those detained at Port Isabel, being cut off from communication just as they were expecting a joyous reunion with their children has prompted fear and panic. 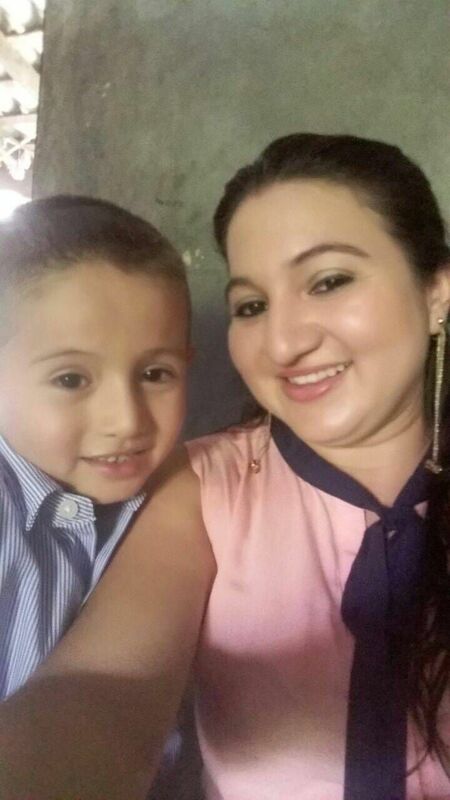 A Salvadoran woman named Claudia, separated from her son Kevin since May 23, was abruptly moved to South Texas from the T. Don Hutto Residential Center near Austin on July 9. She had been calling her lawyer twice daily and remained in regular contact with her sister in Virginia. Then, as with Carlos, the regular communication ceased on Wednesday. When her sister called the facility, she says a guard told her Claudia was no longer there. 7-year-old Kevin and his mother, Claudia, are fleeing violence and persecution in their native El Salvador. However, a volunteer attorney saw Claudia at Port Isabel Saturday and said she had on a white shirt. The sudden cutoff in communication at Port Isabel came just as Carlos managed to speak to his wife and parents in Honduras for the first time since May 25, when he turned himself into the U.S. Border Patrol after crossing the border illegally with his daughter Heyli. Through an elaborate system of coordinated times and speaker phones — Carlos' wife, who is also named Claudia, would call one Tribune reporter while Carlos called another — they'd been able to hear each others' voices for the first time in weeks. "I was talking to [Heyli],” Claudia told Carlos on a Tuesday phone call. Carlos: "What did she tell you?" The telephone line abruptly cut off with an automated sign-off in Spanish — “Thank you for using GTL [Global Tel Link]" — but Carlos managed to call back, and his wife passed the phone to his mother. Mother: “We are fine, my son. Don't worry about that, we are fine. Always thinking about you, but here we are passing the time." It was the first and so far the only time mother and son have been able to speak since Carlos entered ICE custody. As parents like Carlos shuffle through various detention centers, their children have been stuck in the same shelters for weeks, waiting for the government to figure out how to reunite them. Though Claudia told her husband that Heyli was optimistic about a reunion on Tuesday, the little girl was sobbing uncontrollably — rubbing her eyes and rocking back and forth — in a video call with her mother on Friday. 6-year-old Heyli in a video call with her mother, Claudia, on July 20. “I never imagined this,” Heyli says through tears. 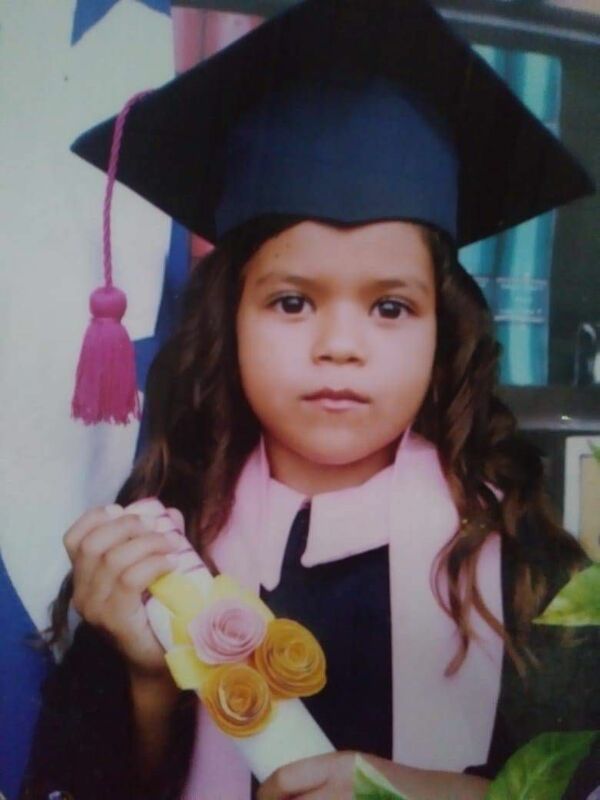 But where the reunion will happen — and whether it will be followed by a flight back to Carlos and Heyli's rural Honduran hometown — remains unknown. A volunteer attorney who saw Carlos Saturday said he was wearing a blue button-up shirt and shoes that looked very worn. He wasn't wearing a white shirt, the attorney said.